Downey Daily Photos: Ready for school? A lot of events happened in August during our break. One of those was the start of the Downey school year on August 17. 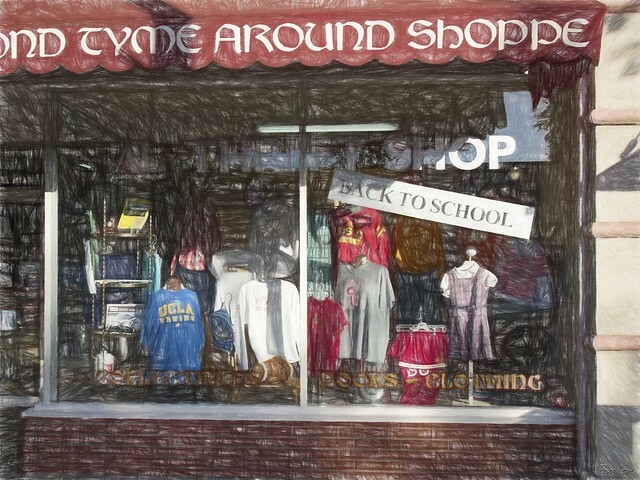 As usual, the Second Tyme Around Shoppe was on top of things with a back-to-school display. This year's display features clothes from rival schools USC and UCLA.